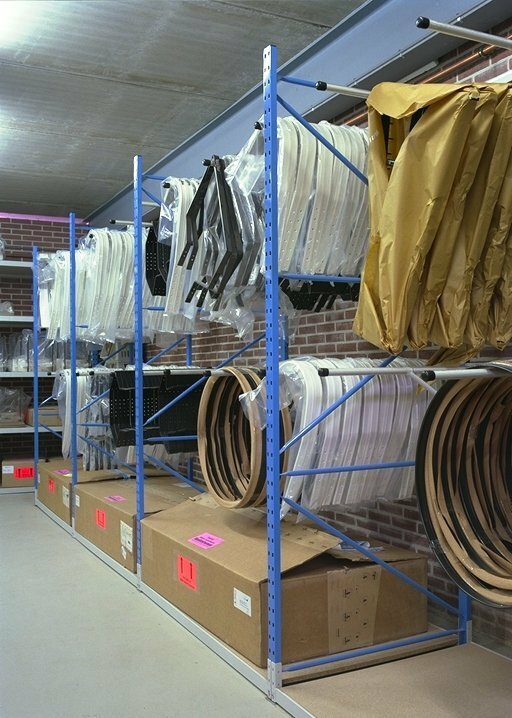 Europe Racking has several solutions for storing bicycles. 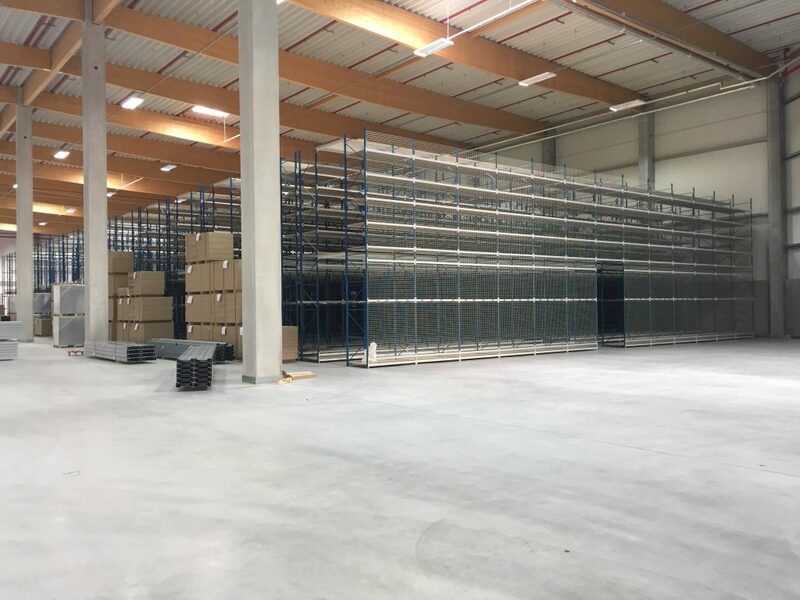 The Europe Racking bicycle racking system can be used for storing large quantities of packaged bicycled as stock, or as a way of displaying large amounts of bicycles in store. 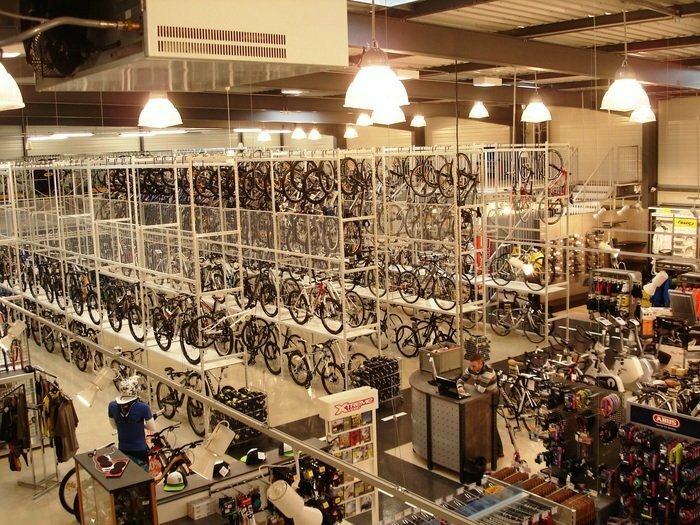 We can also provide you with storage for all the parts needed for assembling the new bikes, as well as for servicing them. 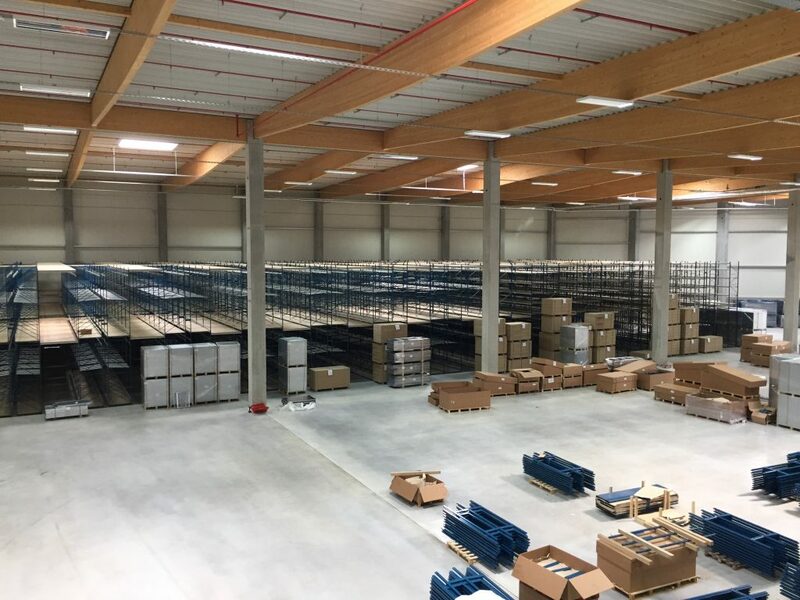 For this purpose we also have workbenches to further aid in de assembly or maintenance of bicycles. 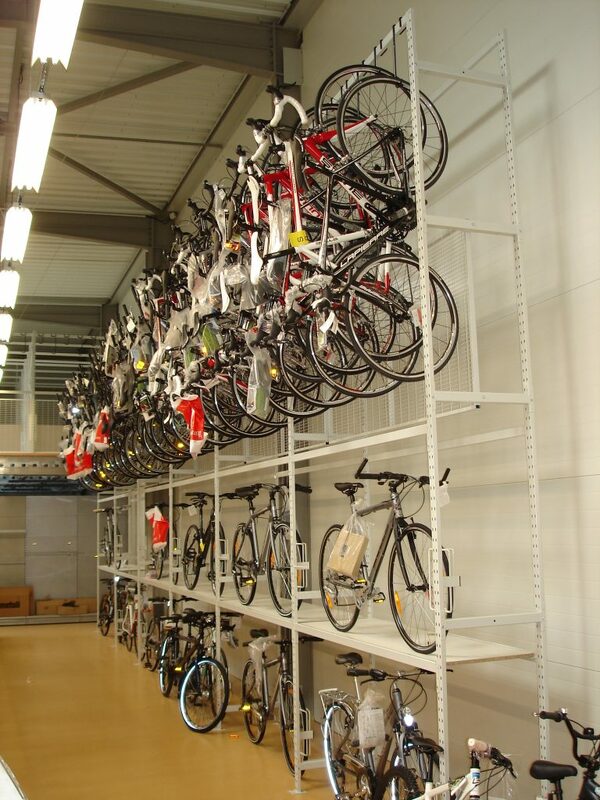 When storing packaged bicycles, they are often put lengthways in to the bays of the racks. 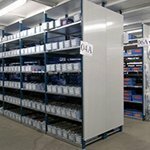 The bays have a maximum width of 1.812 mm and maximum depth of 1.200 mm. 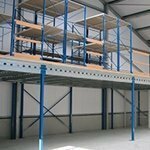 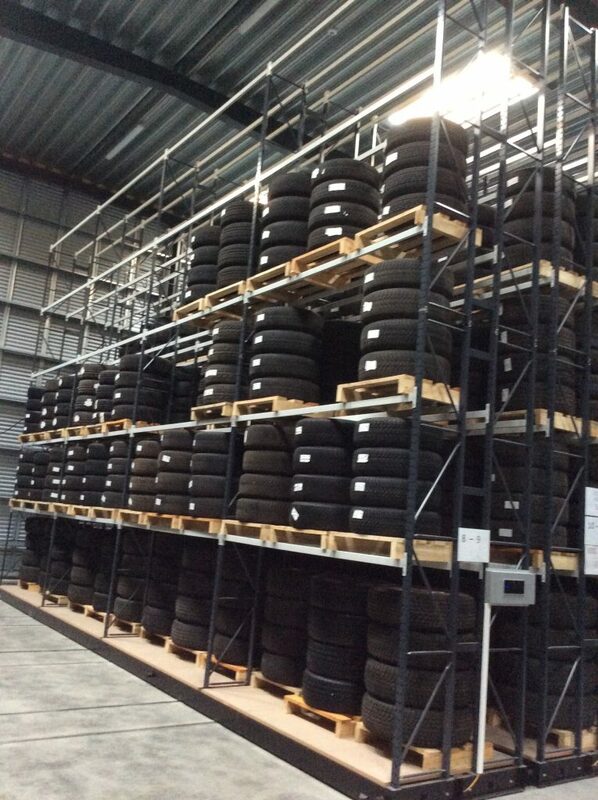 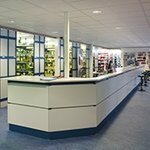 As with all our racking systems, this system can also be stacked up to three stories high, to put your available floor space to good use. 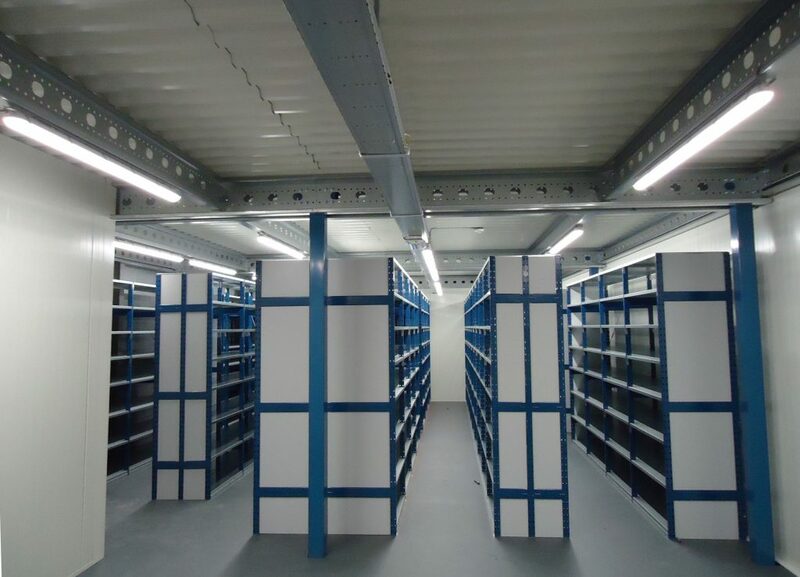 To make sure nothing falls through the beams, it is advised to use wooden shelves between the beams. 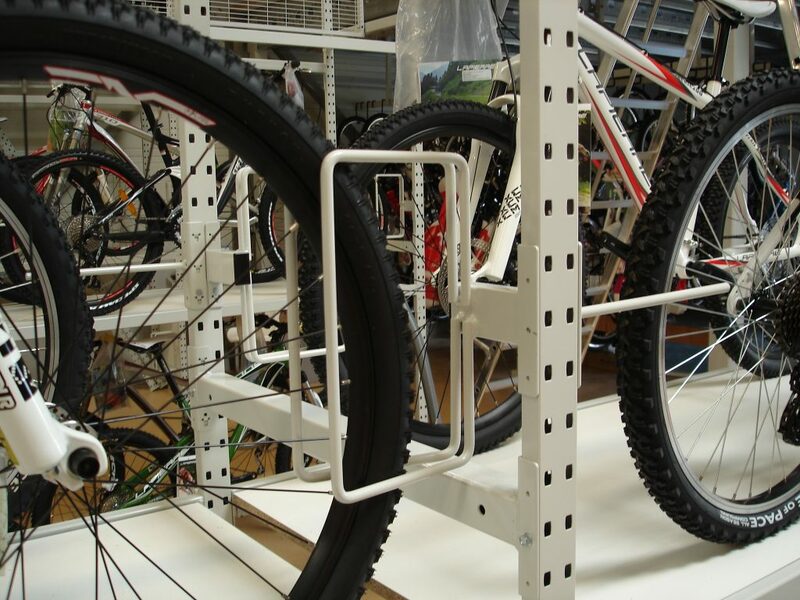 The bicycles are hanged from their front wheels on specially designed hooks. 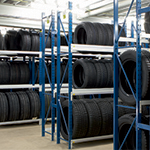 To protect the rims from scratching the hooks have a plastic protective covering. 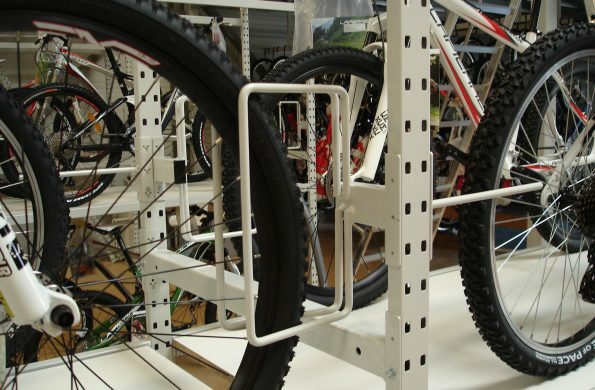 By using a staggered lay out for the hooks, the bikes can be stored close together without the pedals getting in the way. 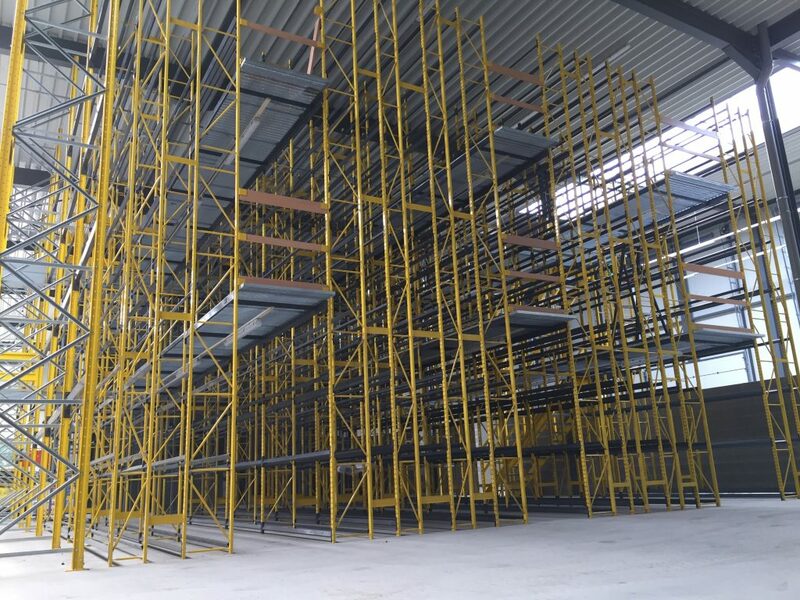 To prevent the bikes from swinging in to each other, horizontal supports are added. 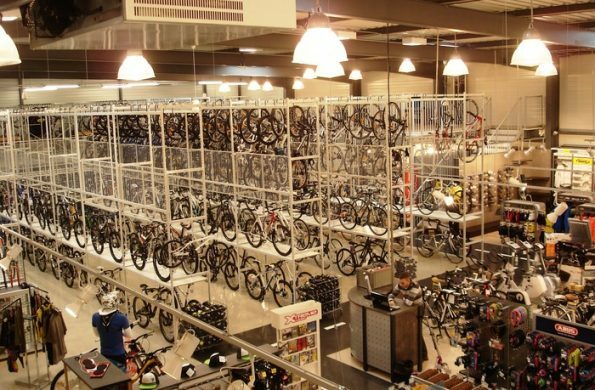 In the showroom, the bicycles have to be showcased standing up so the customer has a good view of the bike. 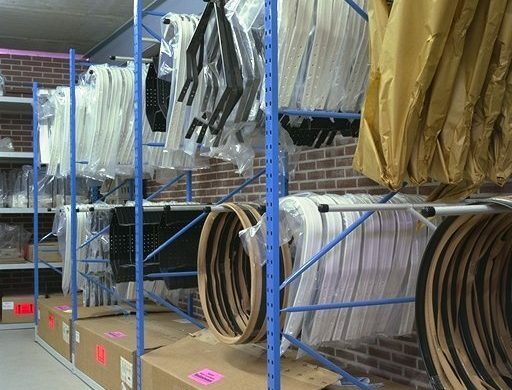 Europe Racking has several options that can be integrated in our bicycle racking system for this.